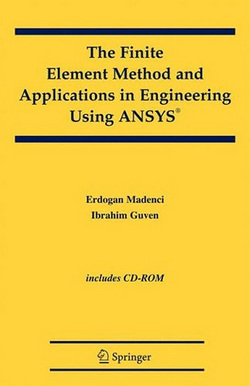 The Finite Element Method and Applications with ANSYS® provides the reader with theoretical and practical knowledge of the finite element method and with the skills required to analyze engineering problems with ANSYS®, a commercially available FEA program. This self-contained, introductory text minimizes the need for additional reference material, covering the fundamental topics in finite element methods as well as advanced topics concerning modeling and analysis with ANSYS®. These topics are introduced through extensive examples from various engineering disciplines, presented in a step-by-step fashion. The book focuses on the use of ANSYS® through both the Graphics User Interface (GUI) and the ANSYS® Parametric Design Language (APDL). Please comment in comment section. Pavement Analysis and Design By Huang Yang H.
This up-to-date book covers both theoretical and practical aspects of pavement analysis and design. 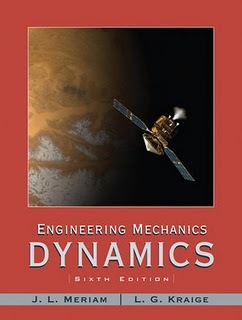 It includes some of the latest developments in the field, and some very useful computer software��developed by the author��with detailed instructions. Specific chapter topics include stresses and strains in flexible pavements, stresses and deflections in rigid pavements, traffic loading and volume, material characterization, drainage design, pavement performance, reliability, flexible pavement design, rigid pavement design, design of overlays, theory of viscoelasticity, theory of elastic layer systems, Superpave, pavement management systems, and an introduction to the 2002 Pavement Design Guide. For practicing engineers in the design of pavements and raft foundations. 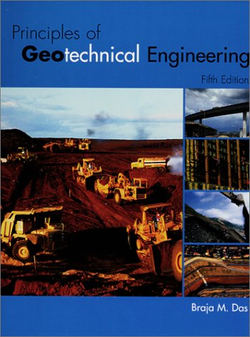 Braja M. Das' PRINCIPLES OF GEOTECHNICAL ENGINEERING provides civil engineering students and professionals with an overview of soil properties and mechanics, combined with a study of field practices and basic soil engineering procedures. Through four editions, this book has distinguished itself by its exceptionally clear theoretical explanations, realistic worked examples, thorough discussions of field testing methods, and extensive problem sets, making this book a leader in its field. Das's goal in revising this best-seller has been to reorganize and revise existing chapters while incorporating the most up-to-date information found in the current literature. Additionally, Das has added numerous case studies as well as new introductory material on the geological side of geotechnical engineering, including coverage of soil formation.